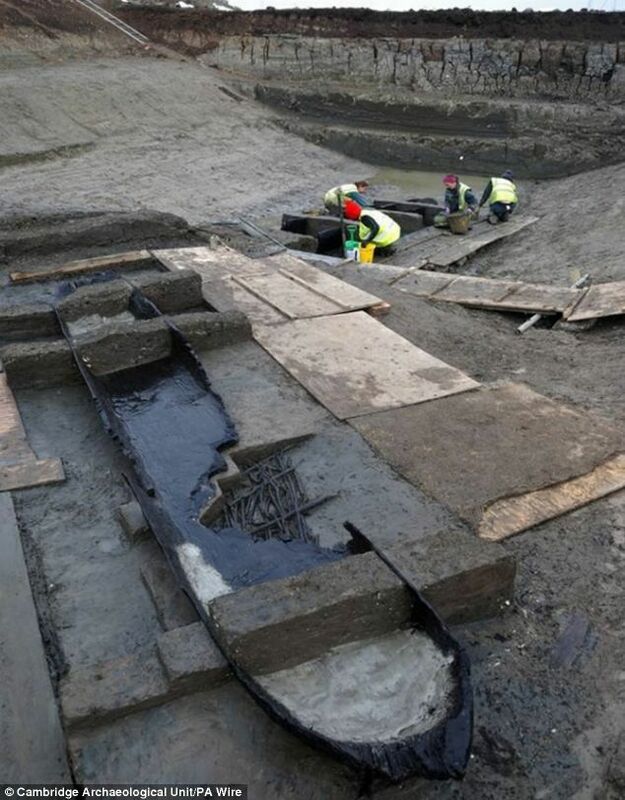 Eight Bronze age log boats in near perfect condition have been found after being dug out from a silted river - some 3,500 years after they were sunk Each of the boats was hewn from a single tree trunk, six of them oaks, one alder and one lime. The boats, the largest of them 28 feet (8.5m) long, are thought to have been used for ferrying cargo and passengers in the Fens some 3,500 years ago. The smallest of the eight boats is about 11.5 feet (3.5m) long and little more than a foot wide (30-40cm), while the largest is 28 feet long and about 2.5 feet (75cm) wide.